The flu outbreak this winter will go down in history as one of the most far-reaching and deadly epidemics. Based on reports from the Centers for Disease Control, as well as multiple media reports, the flu is not only deadly for the young and the elderly, but it has also proven to be lethal for otherwise healthy adults. This year’s influenza virus is the H3N2 subtype of the Type A strain. The illness resulting from this strain is particularly severe because it can trigger inflammation that can destroy organs. Vitamin D is beneficial because it acts as an anti-inflammatory agent as well as an antimicrobial agent. In fighting inflammation, this vitamin prevents the body from producing too much of a molecule that causes swelling and irritation of the organs, such as the liver and kidneys. Additionally, vitamin D also boosts immune cells that fight the influenza virus. 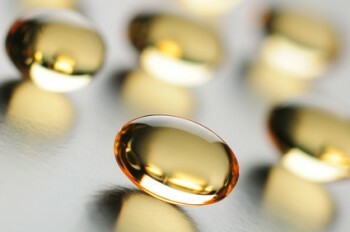 Furthermore, clinical studies also demonstrate that taking vitamin D supplements can prevent the onset of the flu. Fruits and vegetables that have a red, yellow, or orange color contain flavonoids, which can prevent the damage to internal organs. These fruits and vegetables also contain vitamin C, which helps to boost immune function. Multiple clinical studies show that taking zinc within 24 hours of the onset of cold and flu symptoms reduces their severity and duration. It is essential not to take zinc on a long-term basis or more than 100 mg each day. Otherwise, you run the risk of suppressing your immune system, which is exactly the opposite of what you want to happen. Vitamin D, fresh fruits and vegetables, and zinc can help you avoid the flu and lessen its severity if you do become infected. If you do not think you have enough of these essential nutrients in your diet, use multivitamins on a daily basis to ensure your body has the tools you need to fight the flu.